No doubt, it takes a really excellent legal luminary to become the Attorney General of any country. But what kind of antecedents could make someone merit that position in two different administrations in a country like the United States of America? Who is this two time Attorney General what relay does he stand for? Join us as we focus our attention on the iconic William Barr, who is the 77th and 85th (current) US Attorney General. Following confirmation, William Barr assumed office as the 85th (incumbent) US Attorney General on the Valentine’s Day of 2019 (that is, February 14). 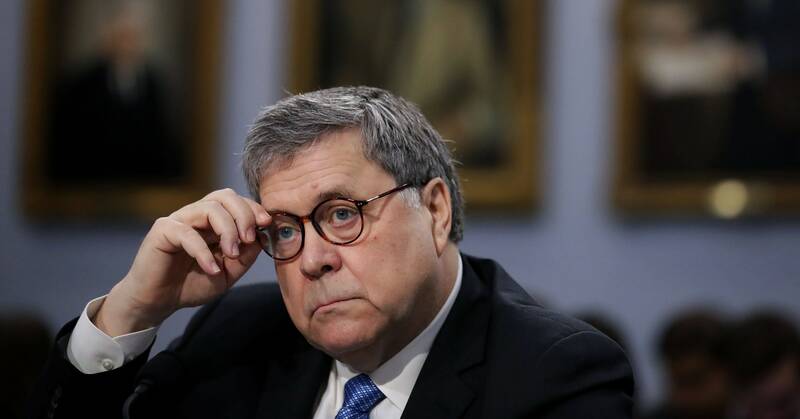 Barr assumed the position after the previous Attorney General Jeff Sessions, resigned after recusing himself from the investigations on the alleged Russian interference in the 2016 US Presidential Elections. Barr was born with the birth name ‘William Pelham Barr’ on May 23, 1950, in New York City, as per wiki sources. He was born to the late Columbia University lecturer, dean, and novelist, Donald Barr. His mother is Mary Margaret Barr (nee, Ahern), who was also a Columbia University faculty member. Before serving on two terms as the U.S. Attorney General, William Barr reportedly once worked in the White House and CIA among other highly placed positions. His first stint as US Attorney General was during the George H. W. Bush Administration. Serving as the 77th attorney general then, William Barr was in office from May 1990 to November 1991. 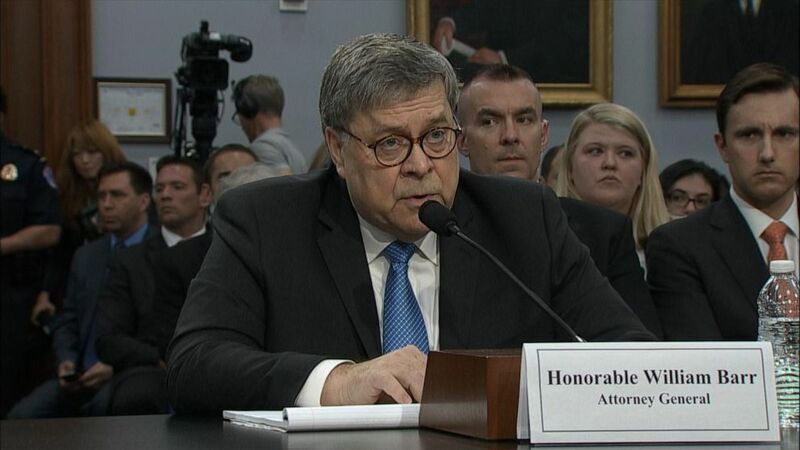 Although William Barr’s father Donald was Jewish, he converted to Catholicism. So, William had a Catholic upbringing. Thus, apart from attending the Holy Name of Jesus Roman Catholic Church in Upper West Side in Manhattan with his parents as a child, he also attended a Catholic school: His pre-kindergarten years through eighth grade were spent at Corpus Christi School in Upper West Side Manhattan under the watch of priests and nuns. After that, young William proceeded to Horace Mann School, a member of the Ivy Preparatory School League located in The Bronx where he was till 12th grade. William Barr’s college education started at Columbia University from where he received his bachelor’s degree in Government in 1971. He then went ahead to pursue an M.A. degree in Government and Chinese Studies still at Columbia University, completing his studies in 1973. Finally, William Barr proceeded to George Washington University Law School in Washington DC – one of the highest rated law schools in the United States. It was there that he received his Juris Doctor (JD) degree in 1977. William Barr has served in various government and nongovernmental positions since leaving college. He has worked in the CIA, in the White House and has occupied various positions in the US Justice Department. He has also worked for a law firm and has himself been in private practice for at least nine years. With his recent appointment as attorney general, he has occupied the position on two occasions after being a deputy attorney general once. Apart from the fact that William Barr must have earned huge pay from the aforestated positions, it is reported that he has also been investing hugely in stocks. For instance, he is said to currently own over 1600 units of Time Warner stocks valued at over $4 million. From all these sources, William Barr was reported to be worth at least $4.21 million. Also, read: Who Appointed James Comey and Why Was He Fired By Donald Trump? William wedded his wife Christine Moynihan in 1973. The couple who have stayed married till date are blessed with three issues. One of the children born to the couple is Mary Daly who recently resigned as the director of Opioid Enforcement And Prevention Efforts – a position carved out in December 2017 in the office of the Deputy Attorney General of the US. Remarkably, while it was the former Attorney General Jeff Sessions that appointed Daly to the office, she resigned to make way for her father to assume office in succession to Jeff Sessions. Now, Daly is said to be working at the Financial Crimes Enforcement Network (FinCEN) while her husband still works at the National Security Division under the Justice Department where he is overseen currently by his father-in-law, William Barr.